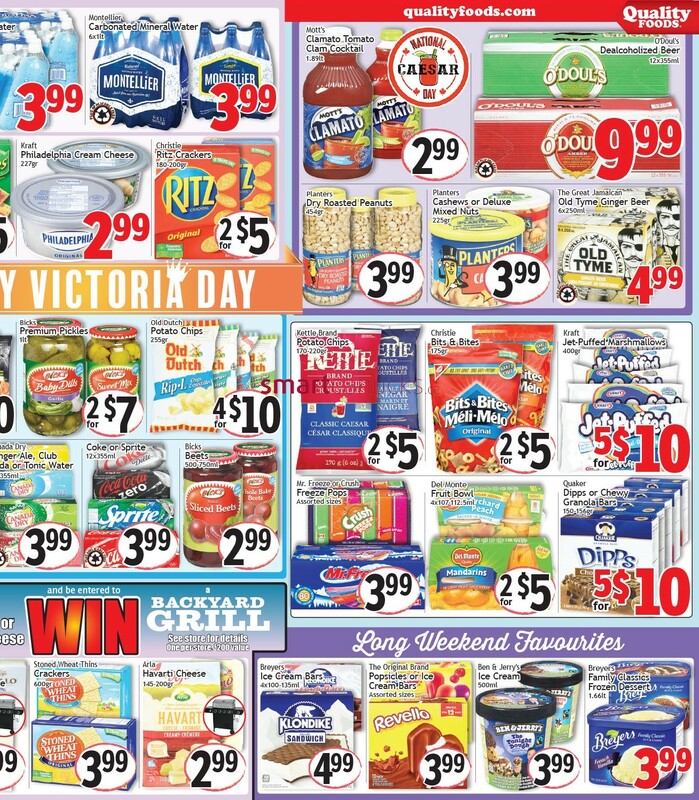 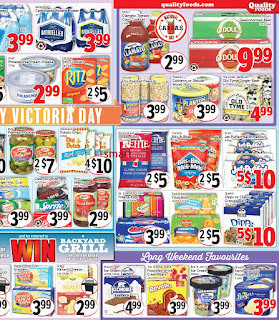 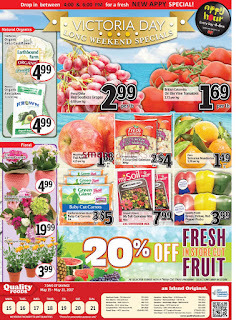 Quality Foods Victoria Day Long Weekend Specials. 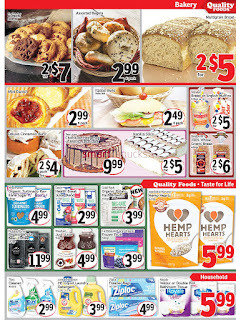 Quality Foods Flyer May 15 to 21, 2017 - Pick any specially selected cutr of meat 5 packages for $25, Choose from fresh cut such as : Bone in chicken thighs, chicken breast fillets, Of platinum Angus lean ground beef, fresh imitation crab meat, ground turkey thigh Meat. 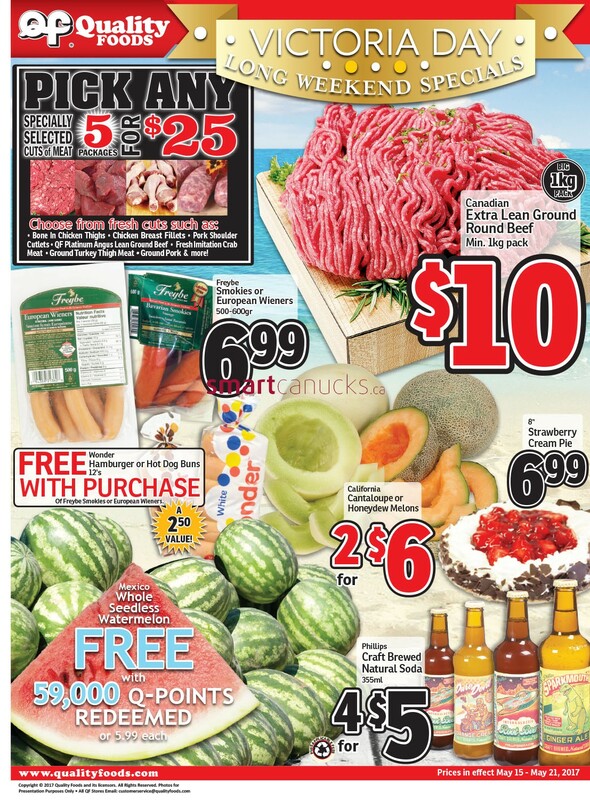 Canadian Extra Lean Ground Beef min 1kg pack $10, Freybe smokies or european wieners 500-600 gr $6.99, California Cantaloupe or Honeydew Melons 2 for $6, Mexico whole seedless watermelon free with 59,000 Q-points redeemed or 5.99 each. 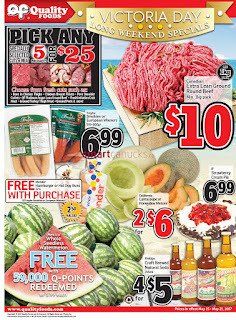 Free wonder hamburger or hot dog buns 12's with purchase of freybe smokies or european wieners. 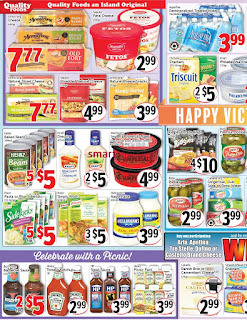 For more detail products like Meat, Seafood, Celebrate with a picnic, Fresh made in the deli. 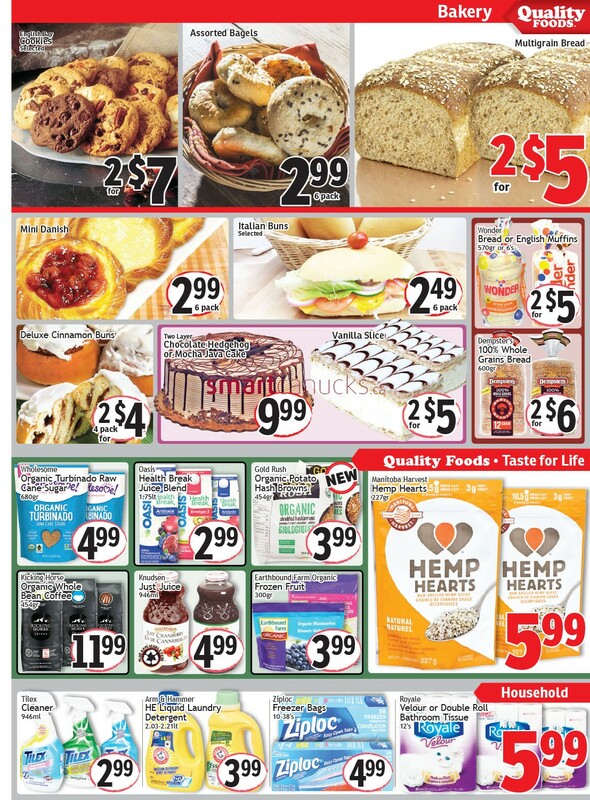 Just a simple click on the image bellow for details Quality Foods Flyer May 15 to 21, 2017. Quality Foods Canada Flyer valid May 15 to 21, 2017. 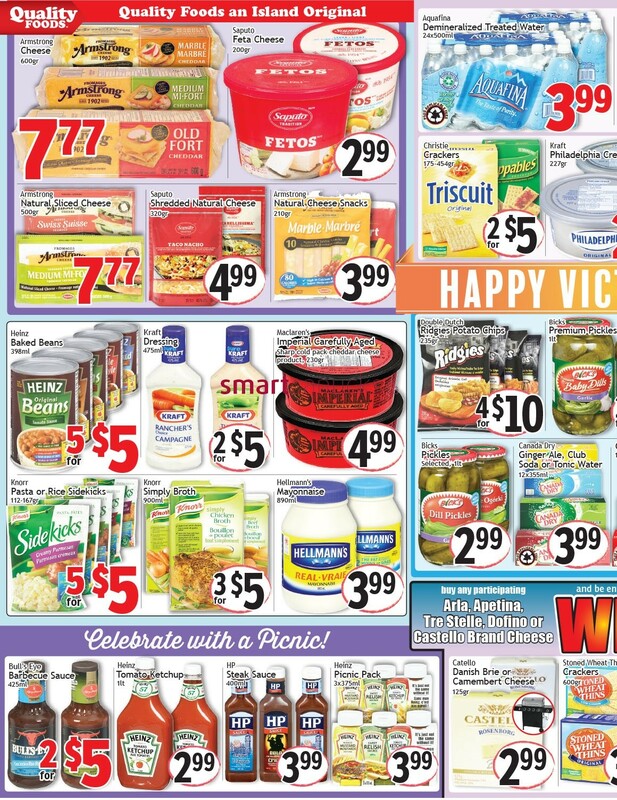 Subscribe this category for more of Quality Foods Flyer products and deals.